Ladies, have I got a treat for you today! I know I am not alone when I say that sometimes I feel I wear too many hats – mother, wife, teacher, business owner, volunteer, group leader…I love all my roles, but it can be difficult to know where to put my focus at times. I can get overwhelmed and then find myself only giving half heartedly to each role. When I found Angie through our group Blogging With Heart, I was immediately drawn to her writing. She writes for me…well, entrepreneur moms like me who struggle to keep it all together. 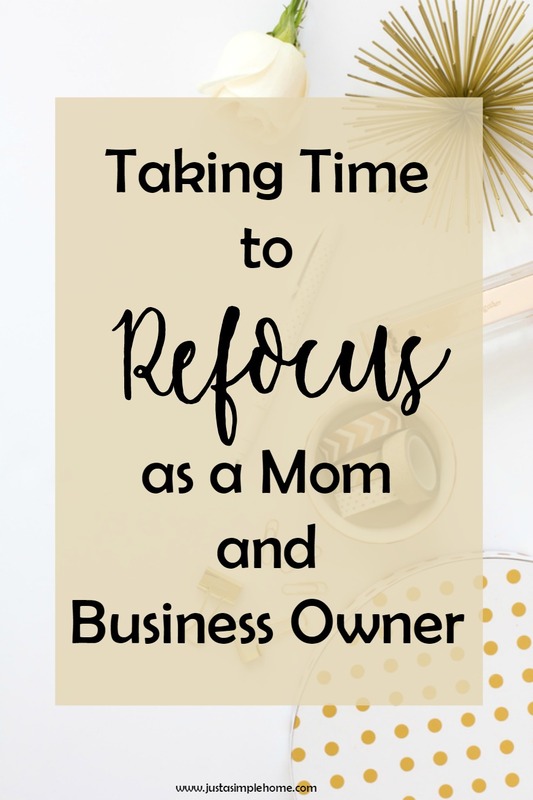 She has some great business tips and advice for us and it mends so seamlessly with motherhood that you walk away inspired. I was thrilled when she offered to write for us here and I know it will bless you! Thank you so much Angie! As business owners, bloggers, moms, and volunteer workers, we all know what stress and overwhelm feel like. Boundaries are important in life, but they are hard to manage in today’s online society. Sometimes, this becomes overwhelming, and you find yourself just going through the motions of your day without really stopping to think about what you’re doing. Soon, a stressful day turns into a stressful week, and you haven’t really taken a moment to yourself. During these times, we need to realize how important it is to step away and take the time to refocus. This can help us come back to work refreshed and enthusiastic again. It’s so easy to turn to distractions when you begin to feel stressed with work and life. Some days I feel like too many people need me at once, which can make me want to shut down and forget all of my responsibilities. When I feel that happening to me, I make sure to step away from all of my distractions so that I can have time to really refocus and think about what’s important. I close out all social media accounts, so I’m not tempted to check notifications. My cell phone is turned off and put away. No television is allowed until I am able to get back to my productivity for the day. Distractions like these can keep you from getting your important tasks done, which can lead to an even bigger feeling of overwhelm. In order to have a good work-life balance, you need to be able to recognize when you are too distracted to work. On busy days, it can start to feel like you can’t possibly get everything done. It can really help to put everything down on paper. You can then prioritize your list and get as much done as possible. My favorite way to start a big to-do list is a brain dump. It’s really unorganized and messy, but it really helps relieve stress and get a chance to refocus on what’s important. Once everything is out of your head and on the paper, you can begin organizing your list by priority. You don’t have to get everything done today. When you start to glorify being busy and tying your self-worth up in how long your to-do list is, you’re setting yourself up for disappointment and exhaustion. This is a habit that can lead to feeling burnt out and keep you from enjoying the work you used to love. Only you know what you can feasibly get done in one day. Prioritize your to-do list so that you don’t feel overwhelmed before you even start. You can even set a reward for staying on task. Mine is that I can relax and check social media for a few minutes. If you work at an office, you usually have more clear-cut boundaries between work time and home time. You are able to leave your office, get in your car, and drive home. When you work at home, though, you don’t usually get that transition. I don’t know about you, but I truly go from sitting at the dining room table working, and walk 10 steps over to the living room when my day is over. This makes it way too easy to “just check in” throughout the night or weekend. Since everything comes through our phones, it’s easy to know right away if a client needs us after hours. Now, there are professionals that are expected to be on-call at all hours, but I’m certainly not one of them. There is no need for me to be answering emails during family time. Unless your work deals with emergencies of some sort, there isn’t much need for you do that, either! Take the time to define your work hours, and be sure to stick to them. This means no phone calls, emails, or social media interactions beyond a certain point. Allow yourself the time you need to relax and refocus, and come back to work tomorrow. Setting boundaries and allowing yourself time to step away from work can make a huge difference in your day. When you give yourself time to relax, you are able to come back energized, refocused, and renewed. This can help you feel more creative and enthusiastic about your tasks. We do what we do because we love it. Don’t let overwhelm and overwork take the joy out of your work. Angie is a wife and mother of 2 girls. She is an avid volunteer worker, blogger, and small business owner. 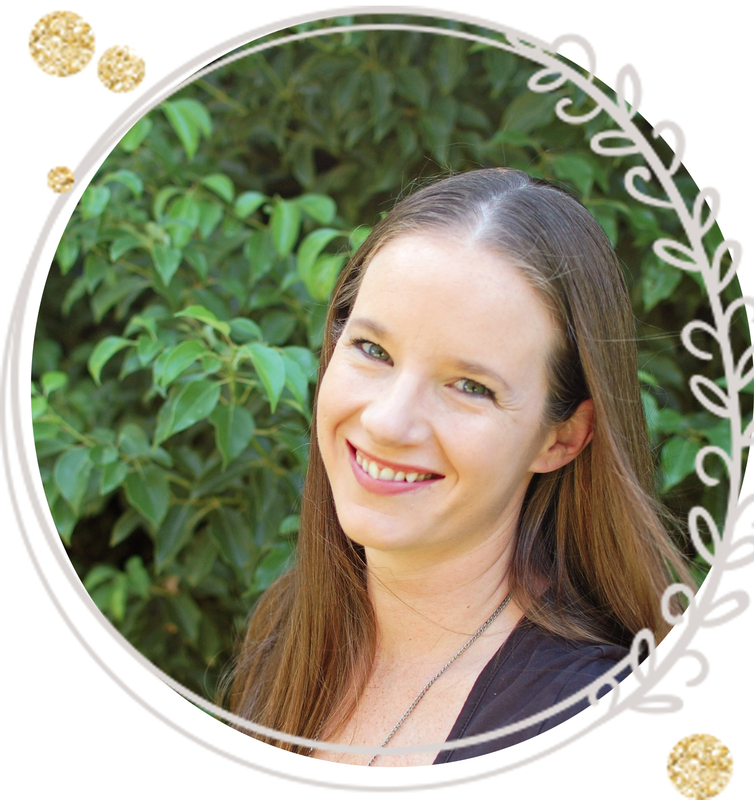 Her writing consists of business and organization tips, discussions on motherhood, and many other topics that affect moms both working and staying at home. Read more on her blog ThirtySomethingAngie and stay connected. I am a huge fan of to-do lists. Like you said about the brain dump, everything I need to do is not swirling around in my mind endlessly, which just leads to anxiety and exhaustion! Thanks for the comment, Kate! A brain dump is my favorite way to rid myself of anxiety! Thank you so much for sharing my work, Terryn! I have enjoyed working together, and really love reading your blog! I can’t live life without my to-do list. It’s my sanity saver, really. This post was a perfect read for me today as it reminds me to make time to slow down and embrace more self-love and self-care. Thank you! I’m so glad you enjoyed it, Courtney! Take care! Thanks for your comment, Rachel! Distractions are awful for me, too. I keep wanting to check my Facebook notifications. Oops! I love your blog! YES! Especially to the To Do Lists! I have one more work and one for my blog work every single day. It may seem overwhelming but it actually KEEPS me on task and I love it! I’m so lost without my to-do lists, and end up getting nothing done! This was so helpful! I’m good at planning and sitting down to work, but I don’t often step away from the distractions. And I need to get better at making to-do lists. It’s definitely a struggle when you work from home! If I don’t close out everything, it’s way too easy to get caught up and lose my time to work. Absolutely! Sometimes I think it’d be easier to work outside the home! You have that clear transition from home time to work time and back. I rely so much on my to-do list. Thank your for sharing these great tips! Thanks Jen! I’m glad you enjoyed them! Oh yes, I live and die by my to-do list! It’s amazing how much less overwhelmed I feel after making a list. When it’s all spinning freely in my head, it feels like too much, but seeing it in writing feels more manageable and less scary. I do need to get better at shutting out distractions — that’s my takeaway for tomorrow! Thanks so much for the comment Brittany! Did you manage to cut out distractions? They’re my biggest problem while working! Thanks for the feedback, Siedah! Congrats on your baby! Thanks for the comment! Yes, setting boundaries is so important, and something I struggle with all the time. Even though I am not a mom I tend to feel overwhelmed all the time because like you said I try to do too much. These tips so amazing especially the to do list. I used to do them but then got so stressed out and overwhelmed that I stopped using them. Which sounds so stupid now come to think about it. I love the idea to turn off all distractions and just to work. I need to start doing that! Thank you for sharing all these great tips! I’m so glad you found them helpful! Yes! 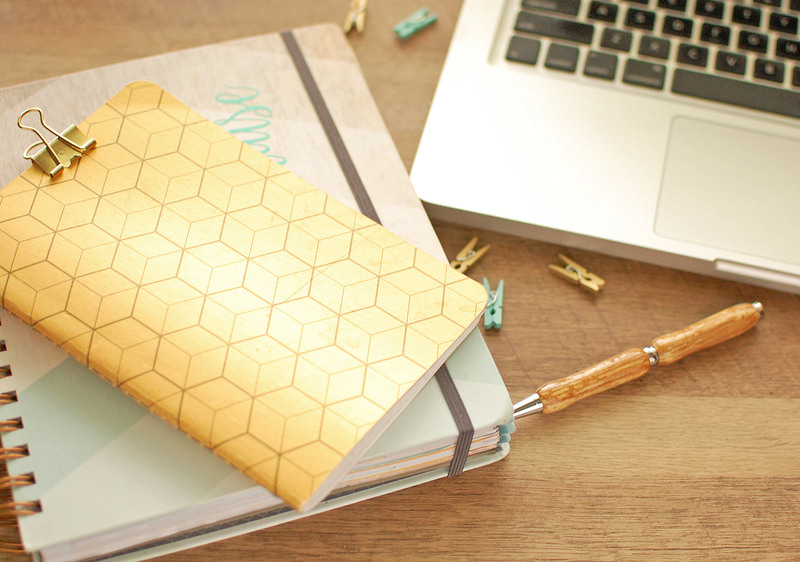 To-do lists are gold for me too + I’m not a mom yet! I need to work on “unplugging” more during the weekends. I think to-do lists are vital for ANYONE that wants to stay productive. We all have different responsibilities we’re juggling! Such great tips. Some days I feel so overwhellmed I look around and have no idea where to start. I love the to-do lists, and try hard to keep off of social media. Those days are so hard. If you haven’t tried a brain dump yet, I highly recommend it. It’s a great place to start when you don’t even know what to put on your to-do list! Just start writing down everything in your head, and it’ll come together! This is so important and felt like it was talking directly to me. I’ve felt like i’ve been pulled in so many directions. I finally refocused last night and I have accomplished so much on my to do list it feels amazing! Thank you, Kemi! I have had an overwhelming few weeks as well, which spurred this blog post. I’m so glad it helped you! I’m pretty sure that if I closed my social media windows and turned off my phone I would be SO much more productive. Refocusing sounds like a great idea! It’s hard to do, but so worth it! I love being able to “reward” myself with 15 minutes of social media time after I’ve completed a big task! I love the no social media, cell phone or TV rule. I don’t always realize it, but sometimes these things stress me out! I *think* it’s relaxing to scroll through my phone, but it doesn’t help. Great tips! Hi Lauren! It really can be stressful! And what is it about those Facebook notifications?! If I have the window open and see one, I feel like I HAVE to check it right away. It can be a huge waste of time! It’s so much better to just close it all out! All great tips! I am always making To-Do lists. Without them I’d be lost half the time. Setting boundaries is also a must. I’m glad you liked the tips! I would also be totally lost without my lists! Thank you so much for writing this! This is exactly what I needed today. I just got done working 9 days straight and with today being my first day off part of me just wanted to slump in day all day and the other part was stressed about getting enough work done for the week. It’s definitely left some anxiety, so taking time to refocus is something I definitely need to commit to. Thanks!! Hi Rachel! I’m so glad you enjoyed the tips! I hope you were able to take some time and refocus on your day off! Your blog images are so beautiful! I love visiting your site!